Former Pennsylvania Governor Edward Rendell will keynote Mobility 21’s 10th annual Southern California Transportation Summit — a conference for transportation and business leaders to find solutions to the region’s transportation challenges. 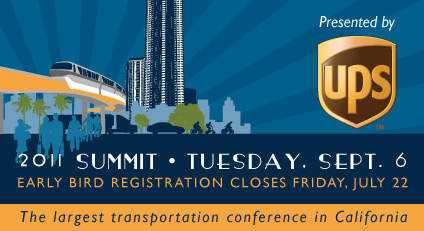 Presented by UPS, the Summit will take place on Tuesday, Sept. 6, 2011 at the JW Marriott at LA Live. During his two terms as governor of Pennsylvania from 2003 to 2010, Rendell was outspoken about transportation’s vital role in America’s prosperity, passionately advocating for infrastructure investment. Rendell serves as co-chair of Building America’s Future Educational Fund, a bipartisan coalition of elected leaders dedicated to infrastructure investment to enhance economic competitiveness and quality of life in the U.S.
What Does the State Budget Mean for Transportation? On June 28, the Legislature approved the main Budget Act for 2011-12, Senate Bill (SB 87), and a number of trailer bills that implement the needed changes to adjust state law. Gov. Jerry Brown approved SB 87 on June 30, along with the trailer bills, including AB 115, the Transportation Trailer bill. Proposition 1A: First, the legislature had appropriated a total of $262 million in Proposition 1A Connectivity funding in the budget bill; however, the Governor reduced this to only the amount required for Positive Train Control implementation, $28 million, and eliminated $234 million. Project Initiation Document: Funding to support this activity was shifted by the Legislature to State Highway Account for local projects on the state system; however, the Governor reduced staffing in this area by 47 to reflect savings to the State Highway Account so that these funds would not “subsidize” local agencies doing work on the state system. A total of $3.3 billion in new Proposition 1B funding was appropriated. This sets the stage to continue allocations to projects already, or soon-to-be, delivered in the coming year, depending on the level of General Obligation Bonds that may be sold in 2011-12. The full amount for the High-Speed Rail Authority was appropriated, so that work may progress in the various corridors. However, there is conditional budget language making the balance available after receipt of an acceptable financing plan and updated business plan. 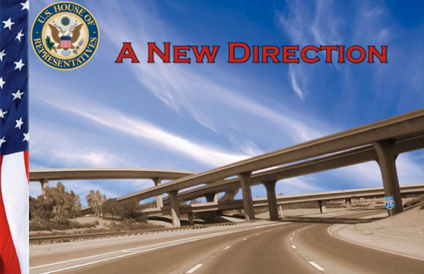 Rep. John Mica, Chair of the House Committee on Transportation and Infrastructure, released a summary of the draft federal transportation authorization bill, titled “A New Direction.” The bill cuts funding for highways and mass transit by 30 percent. According to House Democrats, California alone stands to lose $7.3 billion over six years for the highway program under the Republican proposal. Nevertheless, Mr. Mica’s summary indicates that his bill will strive to make transportation funding more efficient, and appears to take many of the policy recommendations Mobility 21 has been working towards on such topics as regulatory reform and project delivery acceleration, innovative financing, public private partnerships and a national freight movement policy. Click here to view the full summary of the bill. Signaling that she will take a different approach in her own bill, dubbed Moving Ahead for Progress or “MAP-21”, Sen. Barbara Boxer, Chair of the Senate Environment and Public Works Committee, has warned that the House proposal would cost almost 500,000 jobs across the country. The I-405 Sepulveda Pass Improvements Project will add a 10-mile HOV lane and improve supporting infrastructure such as ramps, bridges and sound walls on the San Diego Fwy. (I-405); while widening lanes from the Santa Monica Fwy. (I-10) to the Ventura Fwy. (US-101). A stretch of the I-405 in the Sepulveda Pass will be closed for the July 16-17 weekend. As the I-405 closure draws near, Metro and Metrolink have both bolstered their planned transit services during the closure. Metro will provide free rides on the Metro Red/Purple Line subway, as well as on the Metro Orange Line and select bus lines during the closure weekend to further spur transit trips between the San Fernando Valley and downtown Los Angeles. Valley residents are encouraged to park at available park & ride lots at North Hollywood, Van Nuys, Sepulveda, Balboa, Reseda, Pierce College and Canoga Stations, that together offer more than 4,000 parking spaces, and ride Metro to reach their destinations. Walking, bicycling or taking transit to access stations is also encouraged. The Mulholland Drive Bridge will be the third bridge demolished and reconstructed to accommodate the widening of the I-405 freeway and to add a northbound high-occupancy vehicle lane through the Sepulveda Pass. The Mulholland Drive Bridge is scheduled to be demolished and reconstructed after the Skirball Center Drive Bridge. When completed, the expanded, Mulholland Center Drive Bridge will be widened by approximately 10 feet and will be designed to the latest seismic standards. Visit Metro’s website for more information about the closure. Thousands of Long Beach community members gather on docks to celebrate the Port of Long Beach’s 100th year. Nearly 5,000 Long Beach area residents, joined by elected officials and the Long Beach Municipal Band flocked to a Port of Long Beach wharf on June 25 to honor the seaport’s Centennial. The Port’s first shipment – a load of lumber – arrived on June 2, 1911 on the SS Iaqua. The Port was officially dedicated in a dockside ceremony on June 24, 1911. Today, the Port moves more than $140 billion worth of cargo each year, supporting 300,000 jobs in the Southern California region. 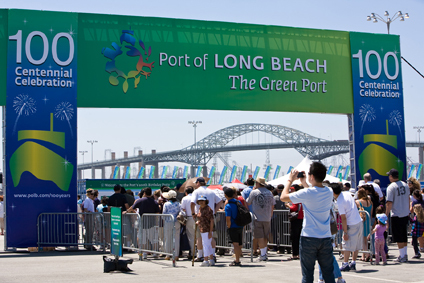 Also known as the “Green Port,” the Port of Long Beach is a world leader in sustainability, with aggressive programs to reduce the impact of goods movement on the environment, the community and wildlife. 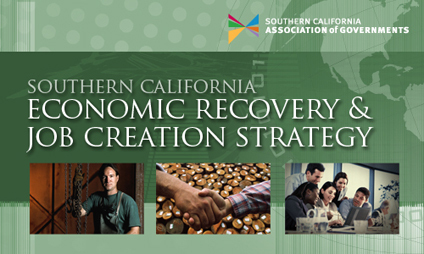 The Draft Southern California Economic Recovery & Job Creation Strategy addresses the issues that must be solved for our region’s economy to create jobs and energize economic activity today, in the next five years and in the long-term. The Strategy is not intended to duplicate, compete with, or negatively impact local and county economic objectives, but rather to determine a common set of priorities for the region that helps businesses, public agencies and communities improve their economic viability. The approach aims to maximize local control while encouraging regional collaboration. On June 2, 2011, the Regional Council of the Southern California Association of Governments unanimously voted to support the Immediate Recommendations identified in the Strategy and to work with partners to develop an action plan for implementation. The M-21 Board of Directors approved support of the Strategy at their Board meeting on May 27, 2011. The Southern California Association of Governments (SCAG) develops a Regional Transportation Plan (RTP) every four years. The RTP provides a vision for transportation investments throughout the region. The development of the 2012 RTP requires and depends upon meaningful collaboration with local governments and stakeholders. SCAG has and will continue to develop the 2012 RTP by partnering with subregions, counties, cities, transportation commissions and other local and regional stakeholders through an iterative and bottom-up process. SCAG is hosting a series of public outreach workshops in July and August. Visit SCAG’s website for the list of scheduled workshops or contact Denise Marie Silva via e-mail or by phone at 213.236.1904. Paul Granillo, Mobility 21 Board member and Executive Director of the Inland Empire Economic Partnership (IEEP) accepts an award on behalf of his organization. 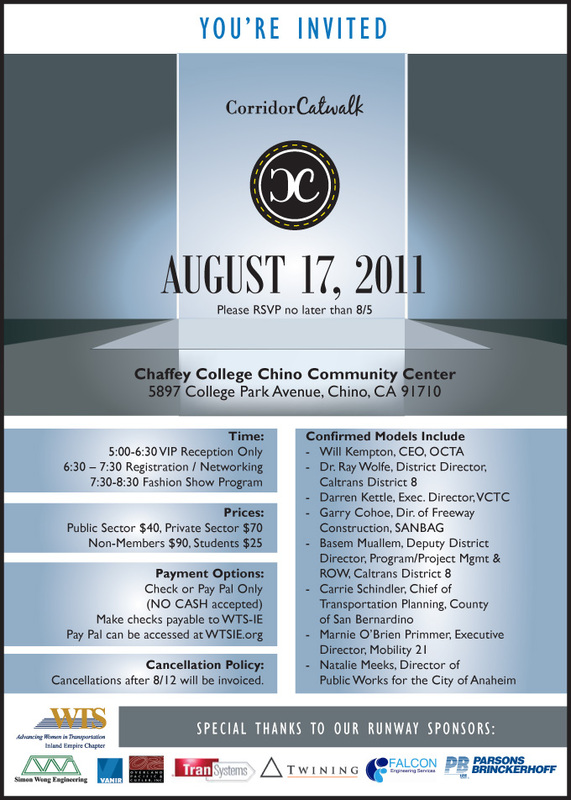 At the San Bernardino Associated Governments (SANBAG) first General Assembly held on June 30 at the Maloof Foundation and Museum in Rancho Cucamonga, the Inland Empire Economic Partnership (IEEP) received the SANBAG 2011 Economic Achievement Award. Accepting the award was Paul Granillo, IEEP Executive Director. IEEP was recognized for its strategic approach and renewed focus on revitalizing economic development efforts in San Bernardino and Riverside Counties. “By engaging business leaders, public policy representatives and charitable givers, this organization is building a broad coalition for the betterment of the Inland Empire,” said Mayor of Montclair and immediate Past-President of SANBAG Paul Eaton. 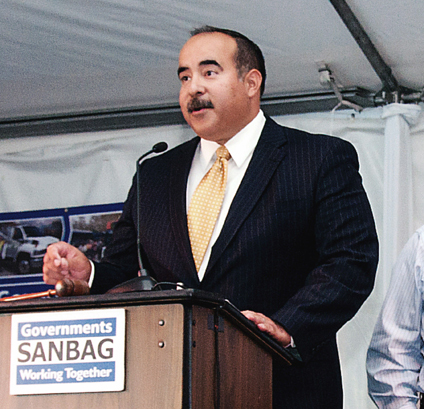 The SANBAG General Assembly included a joint Board of Directors meeting with the SANBAG Board and the San Bernardino County Board of Supervisors. The two governing bodies adopted the Countywide Vision Project report and five Vision statements. The meeting also included a presentation about SANBAG’s year in review, summarizing the past year’s activities and accomplishments. Skanska is a leading international project development and construction company creating sustainable solutions and is a leader in quality, green construction, work safety and business ethics. Skanska’s history in the Golden State stretches back to 1919. Since then, our work has literally paved the freeways and built the infrastructure that supported the growth of Southern California and the Inland Empire. Today, our commitments to quality, integrity, safety and our local communities have helped us become a full service construction firm serving every corner of the state. Skanska has an unparalleled portfolio of work on Southern California highways – from new construction to existing freeway improvements. Skanska is currently under way on a major project to upgrade the I-215 through San Bernardino that will improve traffic flow and safety. We recently completed the new SR-905 in San Diego, which will immediately improve travel through the USA-Mexico border. And Skanska can come to action quickly in an emergency, as we did on the successful repair of SR-330 near Big Bear, a project completed far ahead of schedule. Recently, Skanska has taken its knowledge of the market to expand into transit construction. With a strong portfolio of transit work nationwide, Skanska is ready to help with the expansion of Southern California rail lines. Work is commencing on the LA Metro Exposition Line Phase 2 extension from Culver City to Santa Monica and we are already under way on the Iconic Freeway Structure that will carry the Foothills Extension to Pasadena. Even as a company with global resources, Skanska believes all construction is local. We are committed to helping educate locally-owned businesses – especially certified DBE contractors – about how they can best position themselves for work on Skanska projects. This effort is our obligation. Projects must include local subcontractors if we are to ensure the long-term economic sustainability of our communities. It’s possible that we will help build our future competitors through our DBE outreach programs, but that will only make our entire industry stronger – and make our cities more prosperous. Everyone can win. 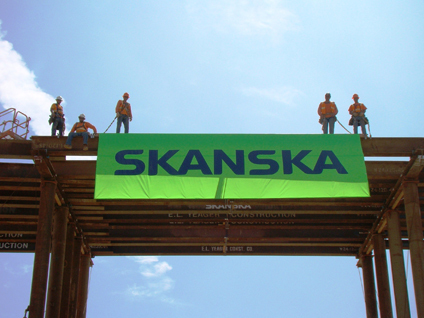 For more on Skanska, please visit http://usa.skanska.com.